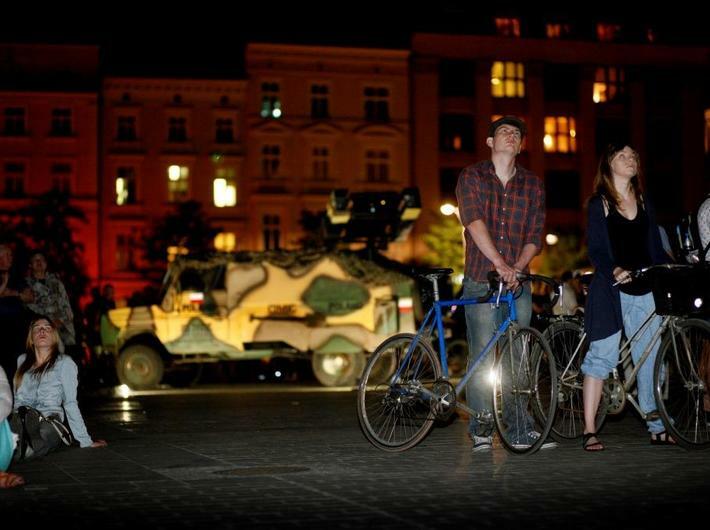 A military vehicle equipped with a projector will park outside the Museum. 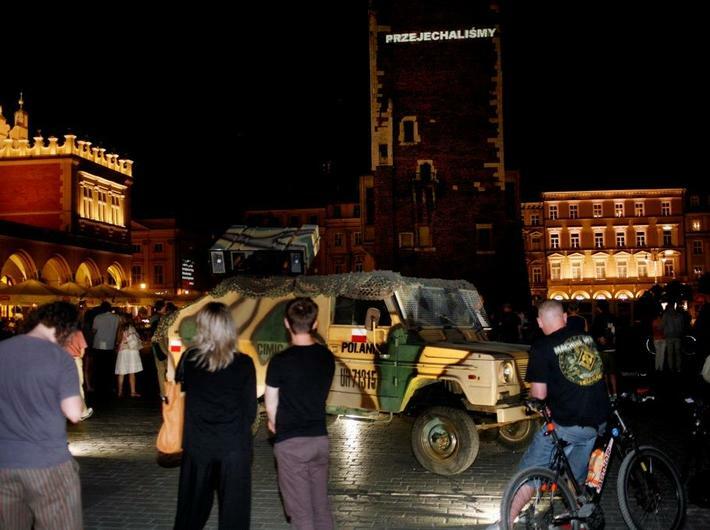 The audience will have an opportunity to see a text and sound projection consisting of testimonies of Polish war veterans from Afghanistan and Iraq and their wives. 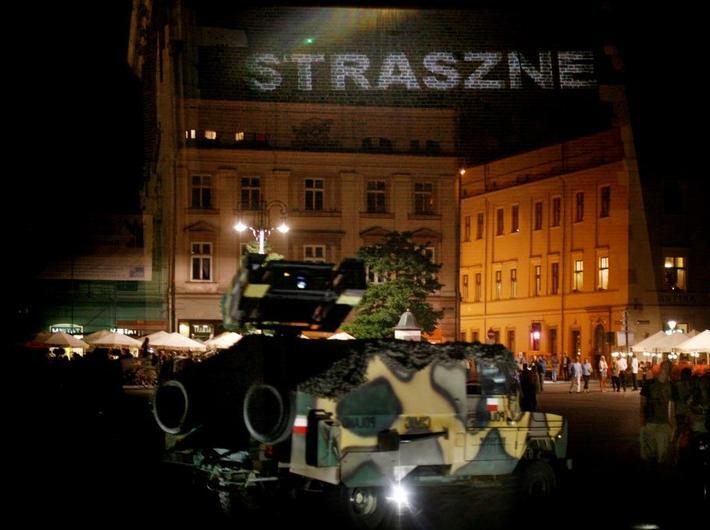 The film shows the district through individual streets, buildings and their rich histories, which give Zabłocie its unique character. 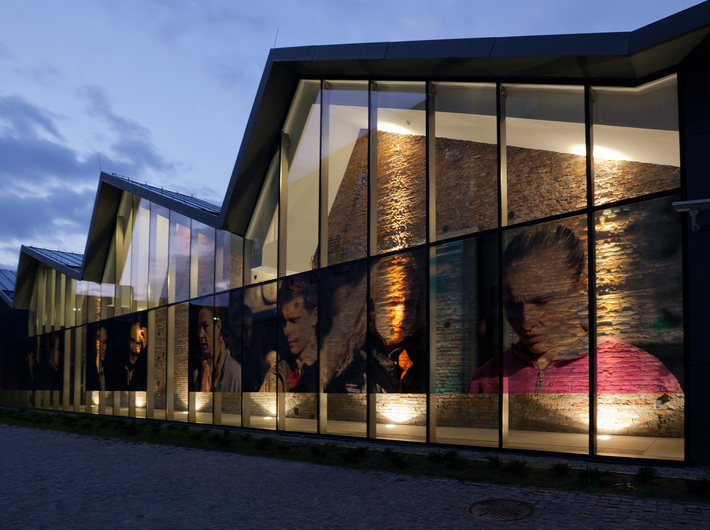 It accentuates the changes that have taken place in this industrial area of Krakow in the recent years. The screening in the form of looped continuous projection will take place in the audio visual hall. 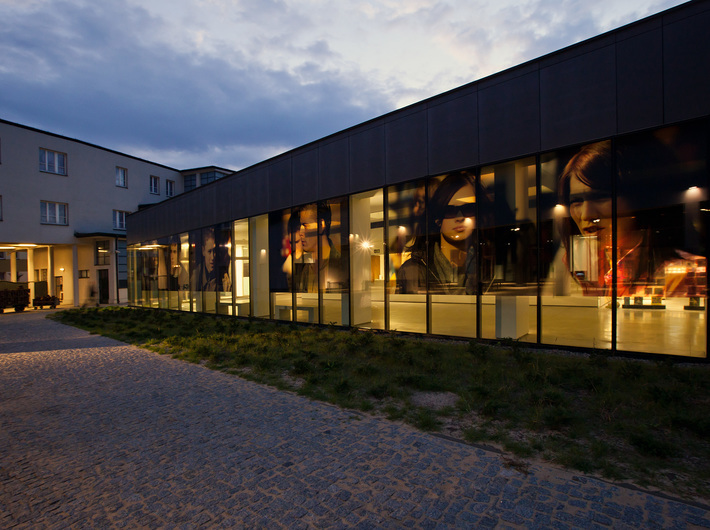 Take part in a guided tour of The Mieczysław Porębski Library, where the Professor's life and academic output merge with the history of Polish art of the 20th century. The visitors will have a chance not only to familiarize themselves with the unique character of this versatile scholar's studio, full of extraordinary books and paintings, but also enjoy the abundant book collection offered by the MOCAK Library. The tour takes place every hour on the hour, with the first one at 7 pm, the last one at 11 pm. 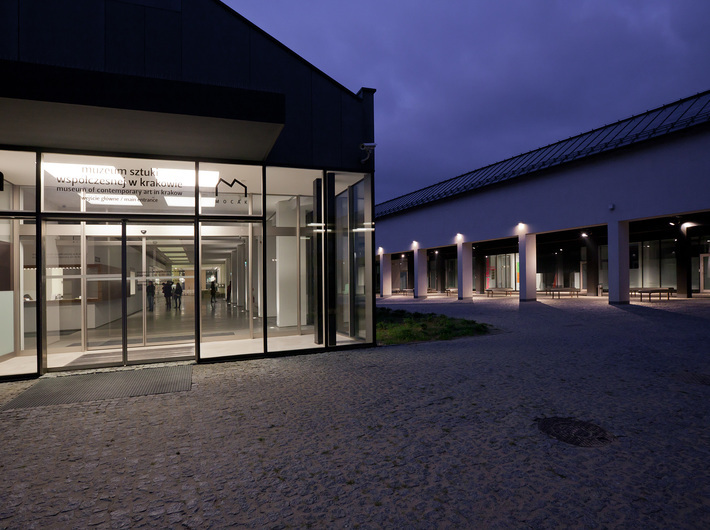 During Museums at Night, there will be special promotional offers at the MOCAK Bookstore: 25% discount on all museum publications and 5% on all other purchases of more than 150 PLN . There will also be a prize draw for all those who bought an item at the MOCAK Bookstore during the event. 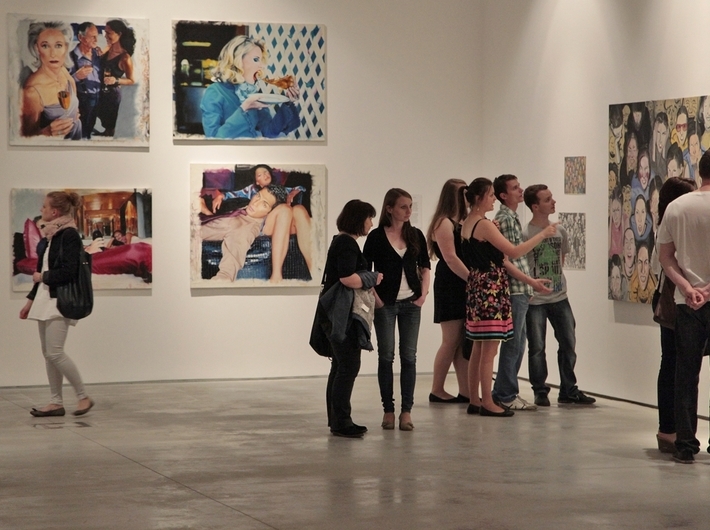 To enter, you have to fill in a form and answer a question about our new exhibition Crime in Art. The draw will take place at midnight. We also encourage you to see the new exhibitions: Crime in Art and, as part of Krakow Photomonth Festival: Walker Evans: The Magazine Work, Taryn Simon's The Picture Collection, Przemysław Branas's Hiccups in the ShowOFF Section as well as Inner Space and The MOCAK Collection. 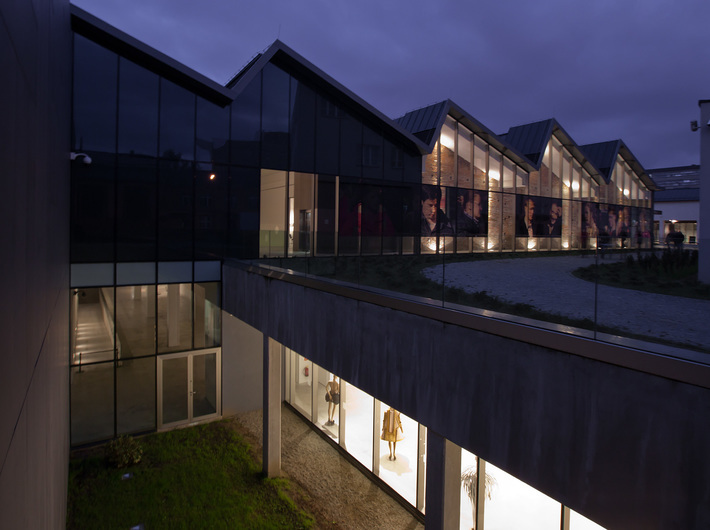 On Night of Museums MOCAK will be open from 7 pm until midnight. Earlier that day the Museum will be closed.